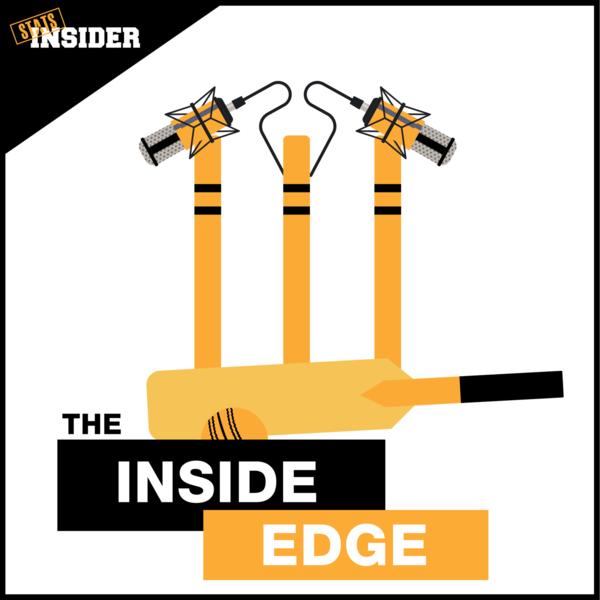 Welcome to the Inside Edge, the Podcast that makes betting on the Big Bash as easy as possible! In Stats Insider's inaugural BBL podcast - with a working title of "Episode 1" - host Hedge introduces the audience to Ritchie and Nick from SIHQ, who clearly, have been studying the form leading into Wednesday nights BBL Season Opener. After a bit of education on who and what Stats Insider is and does, and how the revolutionary new cricket model works, it's time to get stuck into the juicy, meaty, goodness that is Big Bash cricket. While touching on the Futures markets for each team, the focus is on the first two games of the season. The Stats Insider model loves the Strikers, but with Travis Head on national duty with Australia, the lads look at how the Strikers look without their talismanic batsman. Colin Ingram, Matt Short and Jon Wells get a mention on the batting side, while last season's highest wicket-taker Rashid Khan and 'death bowler' Ben Laughlin also get a wrap up from the boys. Unfortunately, Test hero Peter Siddle gets a knock from Hedge as someone who's greatest talent is "running in hard." The Heat look appropriately priced when compared with Stats Insider's Simulations. So much hinges on the "Bash Brothers" opening partnership of Chris Lynn and Brendon McCullum, but Hedge feels that Joe Burns at first or second drop could be invaluable to Brisbane's fortunes, and that Swepson looks to be value for Heat most wickets. Stats Insider's BBL data specialist, Ritchie, feels the young (but unknown) Afghani spinning gun, Mujeeb, might be a better wicket-taking option than Swepson. Ritchie also identified a particular weakness in Chris Lynn's game, thinking the elite leggie, Rashid Khan, might be able to exploit Lynn in Game 1. The lads feel this looks a little David vs Goliath with the powerhouse Scorchers coming East to face the recently rebuilt Melbourne Renegades. Ritchie gives us a sneak peek into some potential betting value on this game so keep an eye on the match pages prior to bat toss! Hedge thinks the Scorchers' only issue might be their absolute quality bowling lineup... "Is there such a thing as having too many good bowlers?" Tye, Willey, Richardson, Coulter-Nile, Behrendorff and even skipper Mitch Marsh will all be used as strike bowlers at times, showing extreme depth in that pace department. The team all feel the Renegades might be some value at the wooden spoon / most losses markets following the loss of some elite talent in Brad Hodge, Brad Hogg, Dwayne Bravo and James Pattinson, not sure what to expect from the likes of Cooper, Ludeman and Dan Christian, while the bowling of Nabi and Cameron Boyce will be leaned on heavily to get the 'Gades through their 20 overs, hopefully taking a few wickets too. Plenty of value on offer!